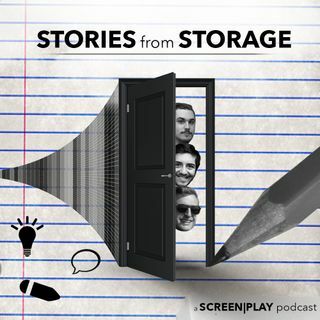 Stories from Storage is back! This week, Tyler, Brian, and Lily share wedding stories, then conceptualize a feature film about a crazy wedding night that takes a dark turn, told in various connecting stories. Think "Love, Actually" or "Valentine's Day". CONTENT WARNING - Bad language. We say naughty words. NOTE FROM THE GANG: Often times we will use false (and most times goofy) names to protect the identities and privacy of our loved ones as best we can. The conceit ... See More of this show forfeits the privacy of the hosts somewhat, but that's a decision we made for ourselves. Please respect the privacy of our friends and families, and others we discuss on the show. Thank you for being awesome, and for listening!